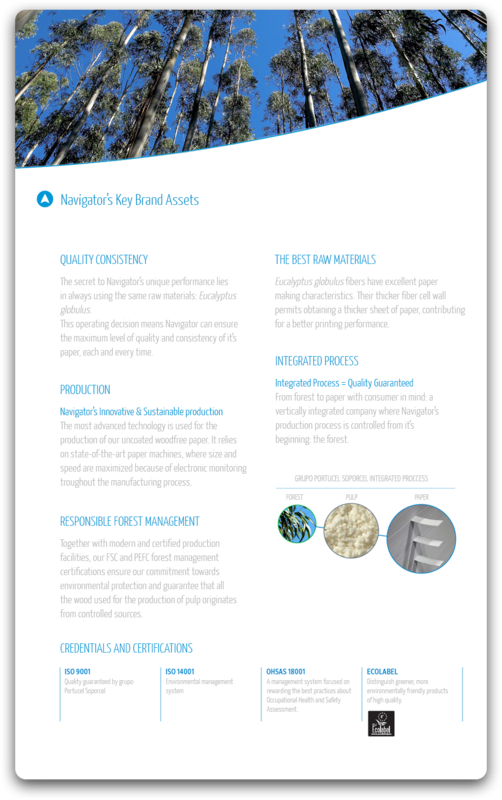 Avoid paper exposure to extreme conditions of moisture and temperature, even when paper is still protected. Acclimatise the paper for an adequate period at 18-24o C and 30-55% RH, keeping pallets or reams closed in the original packaging. A cold paper will tend to foster moisture pick-up causing visible edge waviness and a higher moisture content in general to the paper. Unwrap the required amount of paper shortly before use. 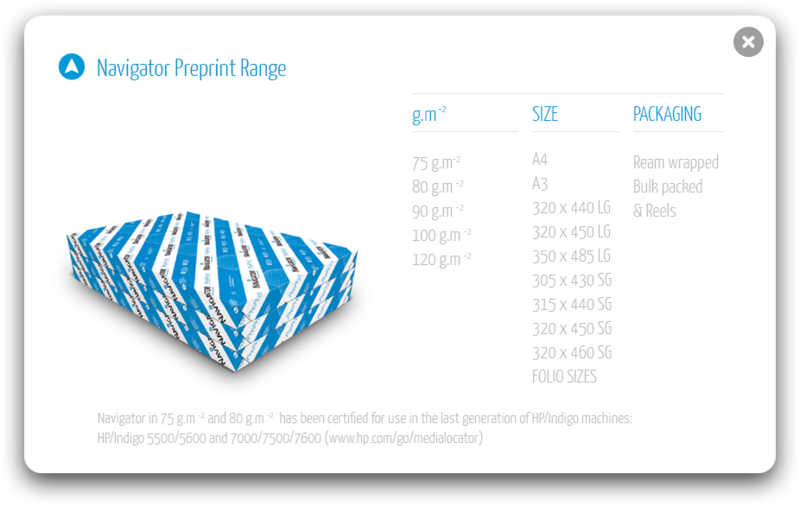 Pallet plastic cover and ream wrapper protect the pre-print paper from moisture pick-up. Don’t print solid areas where laser printing will occur. Offset printing should be avoided in those areas or it should have low ink coverage. High ink coverage on the reverse side should be also avoided. Bad toner adhesion can be promoted due to moisture pick up provided by ink-water emulsification. Produce the A4 letterheads in LG (long grain). The best runnability in laser printing and post processing operations (such as automatic mailing insertion) can only be guaranteed for A4 long grain (when fiber orientation is aligned in the higher dimension of the format). All office equipment suppliers also subscribe this recommendation. Use guaranteed inks for laser printing. These inks avoid ink melting on fuser unit and all consequent problems associated (namely damages and contaminations of printer parts). Use a fast drying ink in order to allow a quicker finishing of the job; avoid ink set-off on transport rollers and belts of laser printers and prevent/minimise ink odours, in particular after laser printing. Keep fountain solution pH within the range of 4,8 to 5,2 in order to improve ink-drying time. Minimise the amount of fount solution in order to reduce the moisture pick-up, paper waviness and bad odours after fusing. Don’t use anti-set-off powder. Anti-set-off powder can melt at toner fusing temperature, promoting damages to the fuser unit and a general dusting contamination of the laser printer. Protect printed stacks against moisture pick-up prior to guillotine cutting in order to avoid edge waviness and subsequent post fuser curl problems. For that reason, protect the stack with a Navigator Pallet Cover* or wrap it with plastic moisture proof film. Wrap the paper after each finishing operation with moisture proof materials. Use sharp guillotine blades and optimise the amount of paper to be cut in order to obtain a final clean cut. A perfect cut prevents jams and feeding problems. Bad cutting leads to release of dusting and debris contaminating the laser printers. Store printed products, for instance A4 letterheads, in moisture-proof wrapping material or boxes. Protect the remaining paper on pallet till a next job with a moisture proof wrapping such as a plastic film or the Navigator Pallet Covers*.